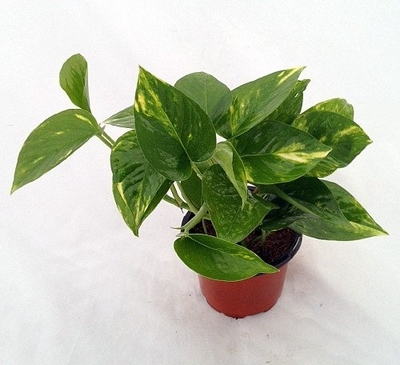 Golden pothos plant in a four inch pot ships same day with tracking. Fresh air plant, it filters toxins from the air. Ideal easy care plant for the home or patio. Great ground cover in southern states.